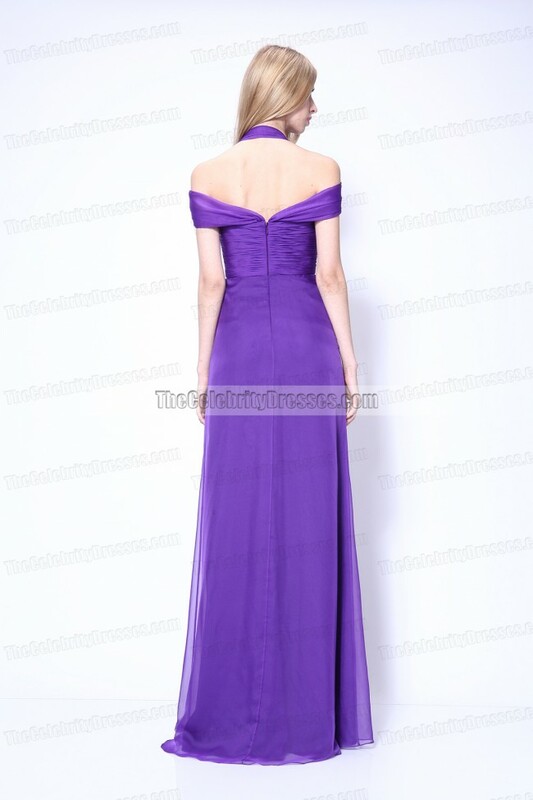 Classy long halter formal gown inspired by Singer Demi Lovato. She performs onstage during the 12th annual Latin GRAMMY Awards at the Mandalay Bay Events Center on November 10, 2011 in Las Vegas, Nevada. 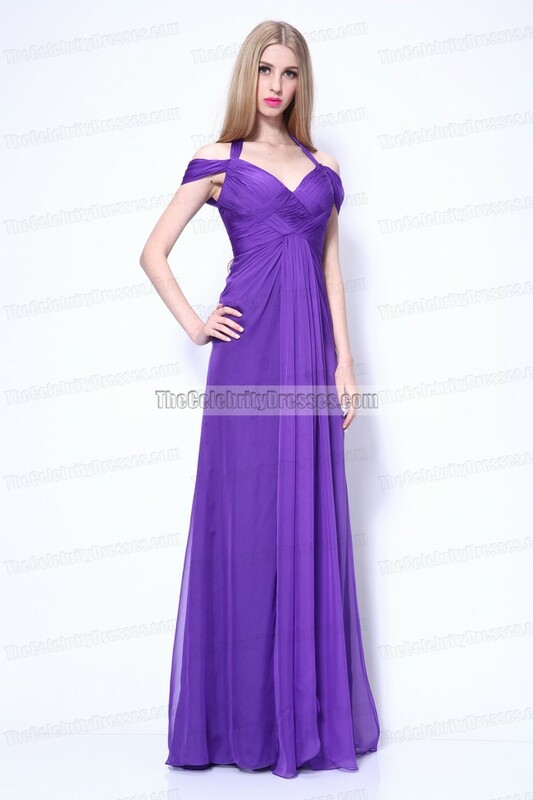 She Looks Stunning In This Purple Chiffon Gown! Q: Will the color of the dress be the deep purple color that Demi is wearing in the picture? If not what is the closest color you have to that? A: Dear Hannah, Please just choose the as in picture color and the color will be the closest color to Demi's dress. Thanks for contacting us. A: Dear Emma, We are so sorry but we can not change the design.Actually our dress makers highly suggest that you keep the original design since it will present its beauty best.Thanks for contacting us. A: Dear, Yes, we can remove the slit. Please include your request in your order comment. You will be able to leave comment at the last step checking out before making payment. You can also email us or contact us by live chat after your order is placed. Thanks for contacting us. A: Dear caitlin, It is a regency color. Please include your request in your order comment. You will be able to leave comment at the last step checking out before making payment. You can also email us or contact us by live chart after your order is placed. Thanks for your question. Q: How does this work? Is this the actual designer, or a replica? Our dress is an identical recreation to the original one. Thanks for your question. Q: I'm going to order this dress but the sizes are in US sizes and the size chart in UK which one should I go by? I'm a UK size 12 so what size should I order? It is close to US size 8. Please be sure to follow our size chart at http://www.thecelebritydresses.com/html/All-You-Need-To-Know.html?tab=3. Thank you for contacting us. Q: What color is the dress in this picture? It is purple in this picture. Thank you for your question. Q: Can this Kim Kardashian white one sleeve prom formal dress, be made with the purple lace from Gemma Chan Purple Lace Evening Dress Prom Gown BAFTA Awards 2012 Red Carpet ? Q: hi, i ordered this dress yesterday. when will it come by? Dear Eli, it will arrive in approx 3 weeks. Thank you for shopping with us! I ordered it for my high school prom, and I love it! It was exactly as shown in the picture. Although I did altered the back to take out the zipper, but otherwise, I loved it! !